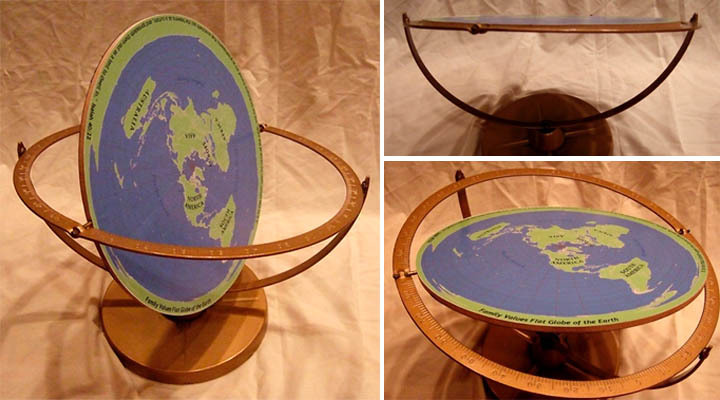 With Google Earth you can explore and visualize our planet's surface on your flat laptop screen in minute detail, but it is still only flat... No sublime roundness to touch, no curves to trace, or even admit it, if you are an Earth lover - no Earth to hug. 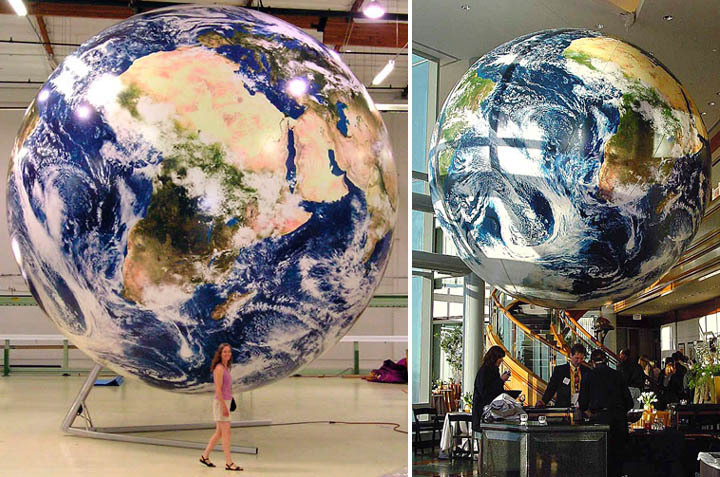 Globes allow you to hug the Earth (not to mention providing us with the most accurate and educational info). Recently here at Dark Roasted Blend, we took a look at the unusual maps of various parts of the globe. 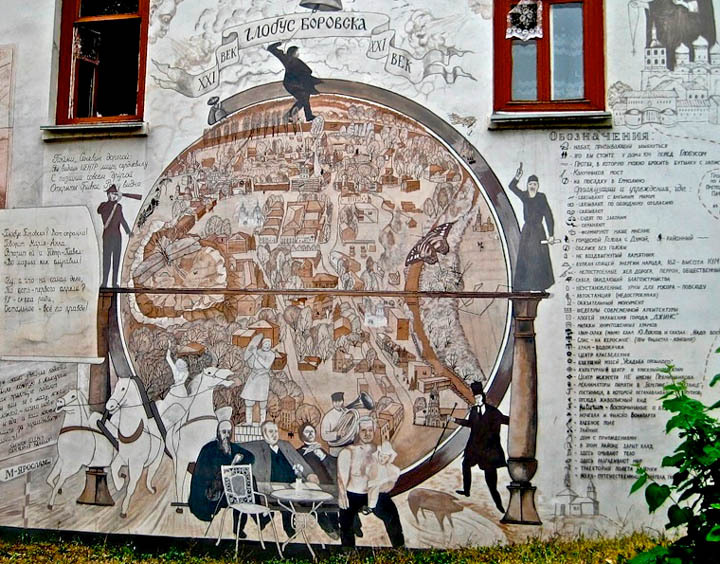 This time, we thought we’d examine some of the more unusual depictions of the Earth itself. 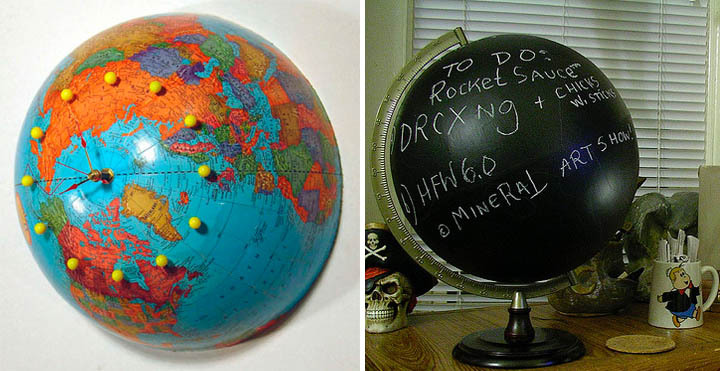 Above right: the Idea Globe™ or Polar Chalk Board, from Rocket Sauce! 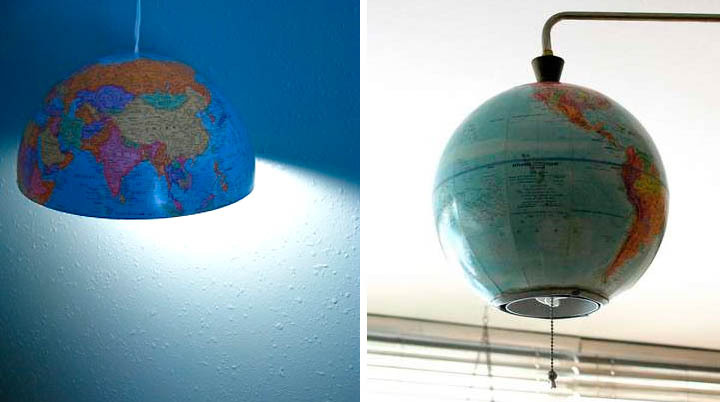 More "decorating with old globes" ideas - recycle your old globe into the lights! 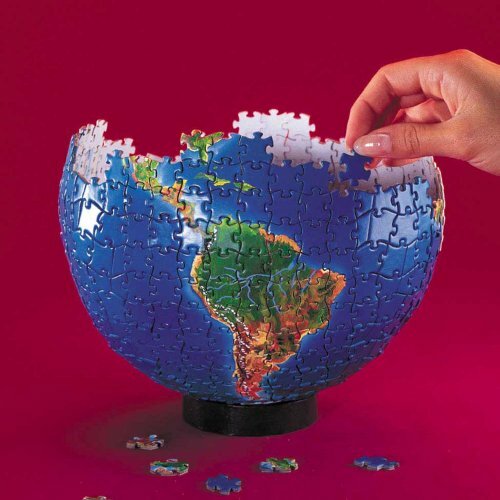 For those who believe the earth is in fact flat, how about this version of the planet? 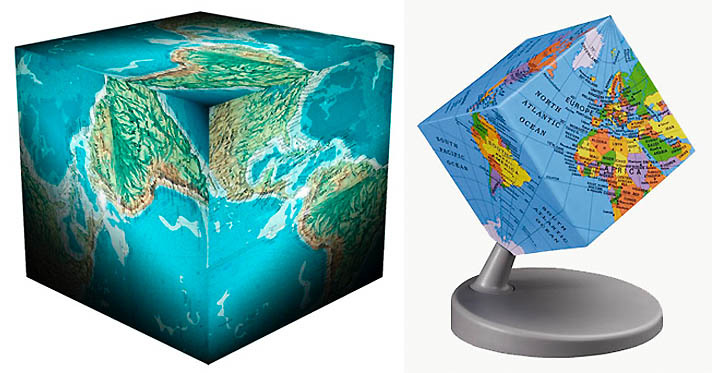 Or maybe you’d prefer a cubed world? 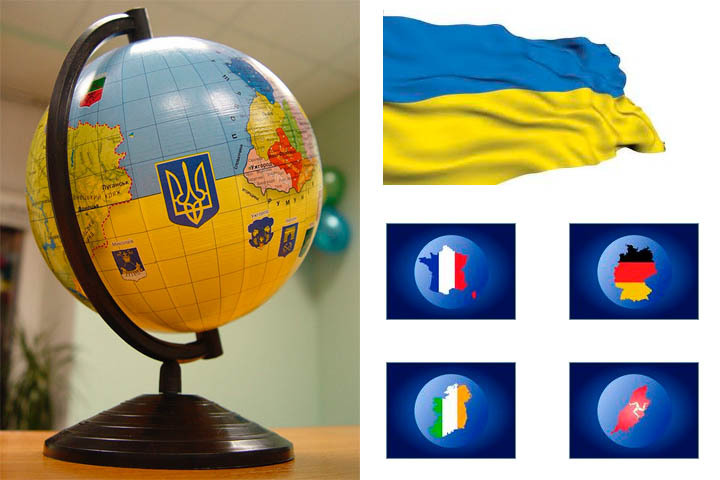 Following the break up of the USSR, some globes were created that depicted just the proud population’s newly independent country, instead of the entire world, such as this globe of the Ukraine. 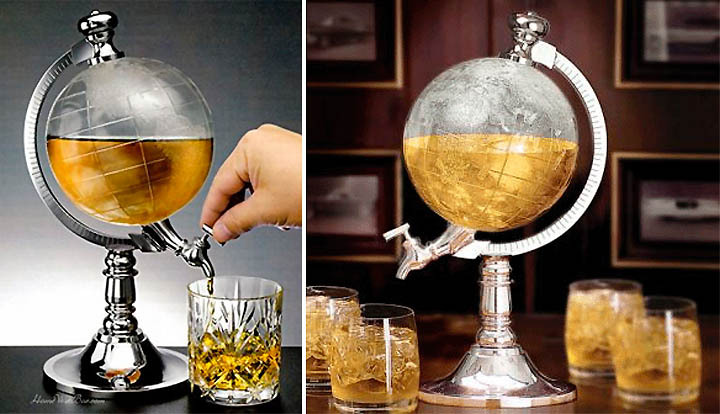 There are globes available for every country, actually. 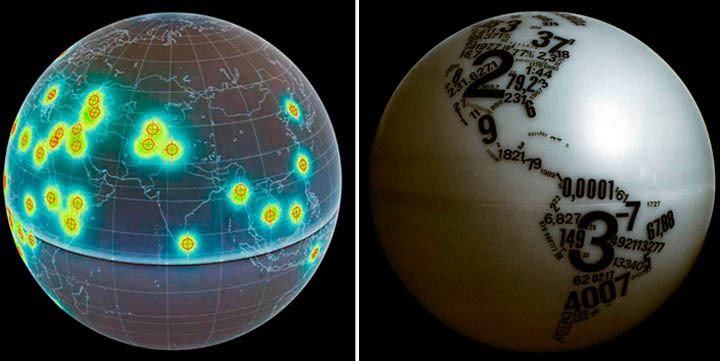 About the Mapparium : funny that they chose for reversing the world like a sock i.s.o. 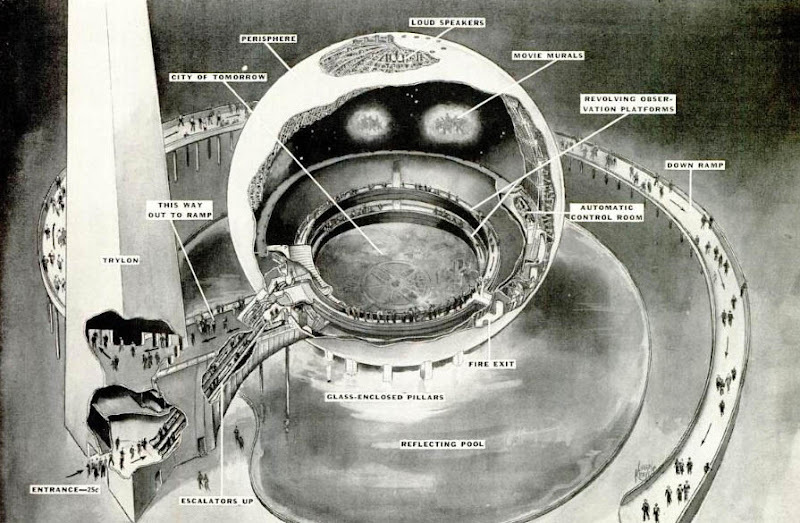 simulating the view from the inside of earth; I guess they preferred keeping the world looking familiar. 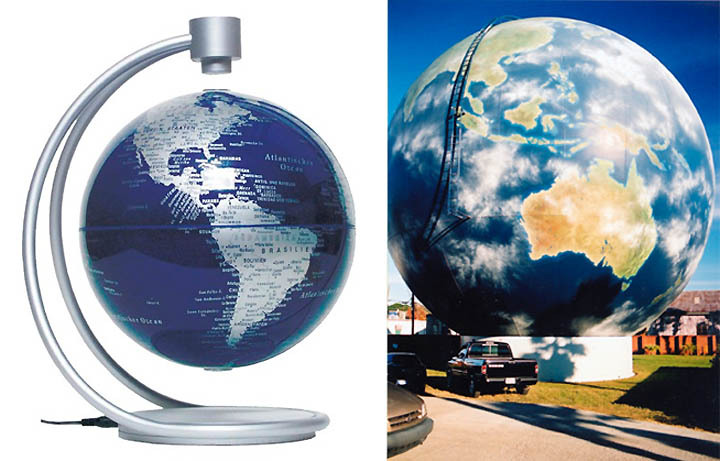 The Savannah globe was featured in that Ben Affleck/Sanda Bullock movie "Forces of Nature." It's since had a paint job. 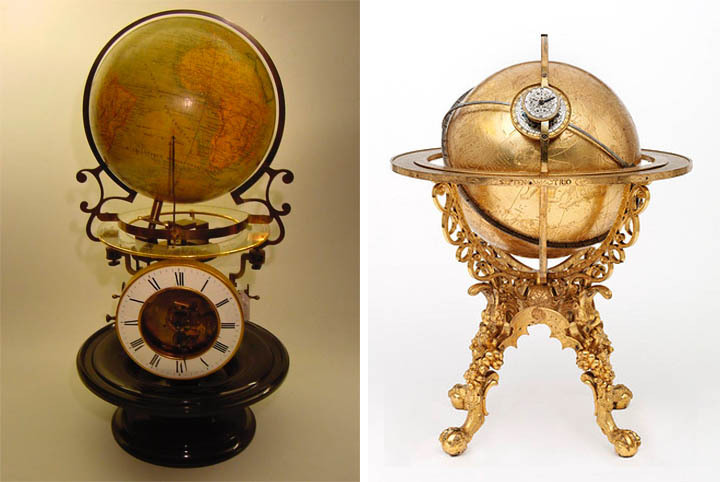 The goldish globe that was supposed to be in the WTC has a twin in the Vatican. 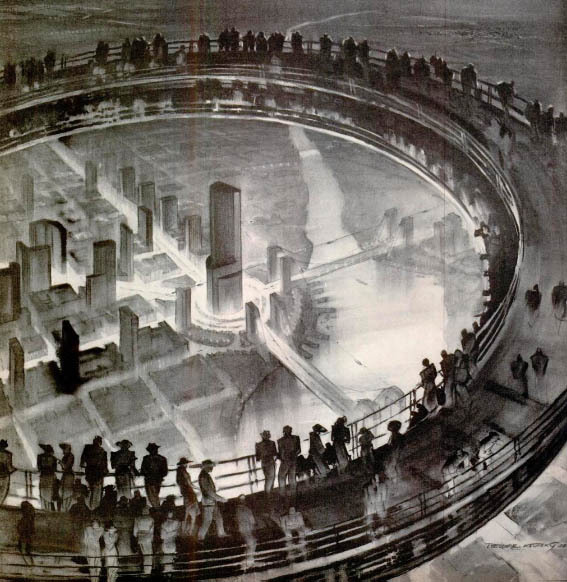 Buckminster Fuller had the most audacious globe-related idea of all: a sphere 1 mile in diameter that would house a flying city. Cloud Nine. 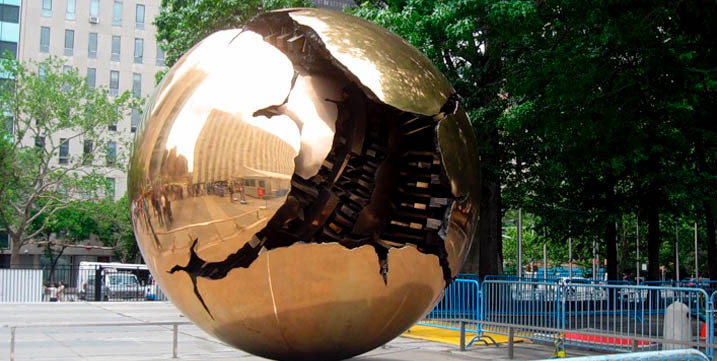 The sphere in New York is a sculpture of a famous italian artist, Arnaldo Pomodoro. There is also the UK Imperial War Museum which is formed from pieces of a shattered globe. 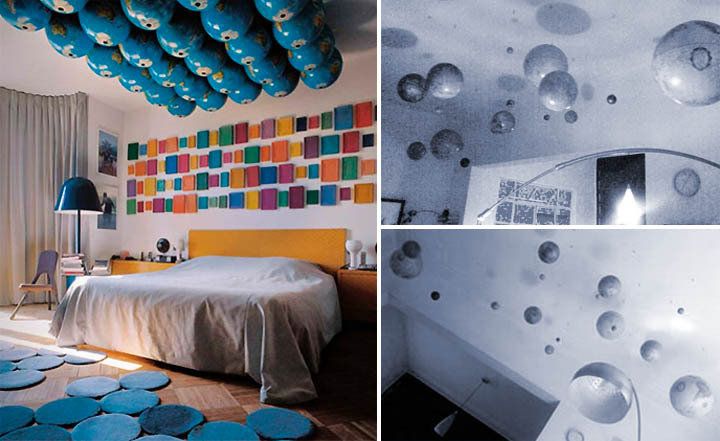 The sphere sculpture shown above is by Arnoldo Pomodoro. 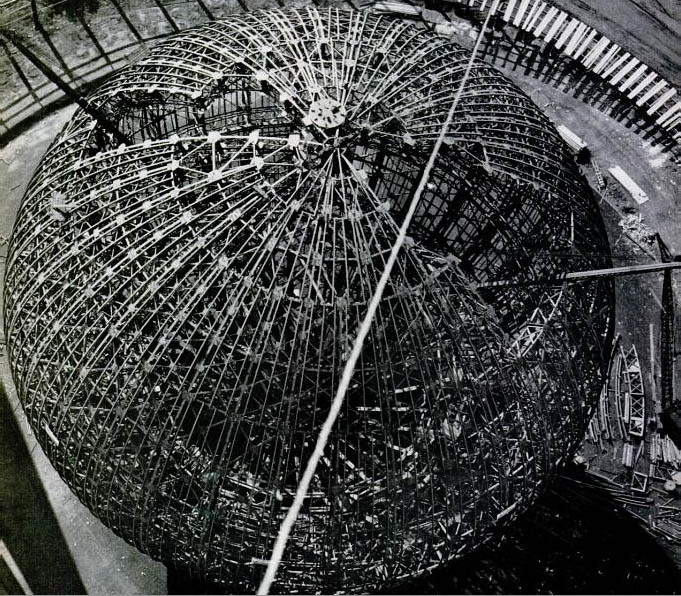 The Koenig sphere which was in front of the WTC is this one. Absolutely missing here is Ingo Gunthers "worldprocessor" a very interesting collection of over 200 unusual globe mappings. 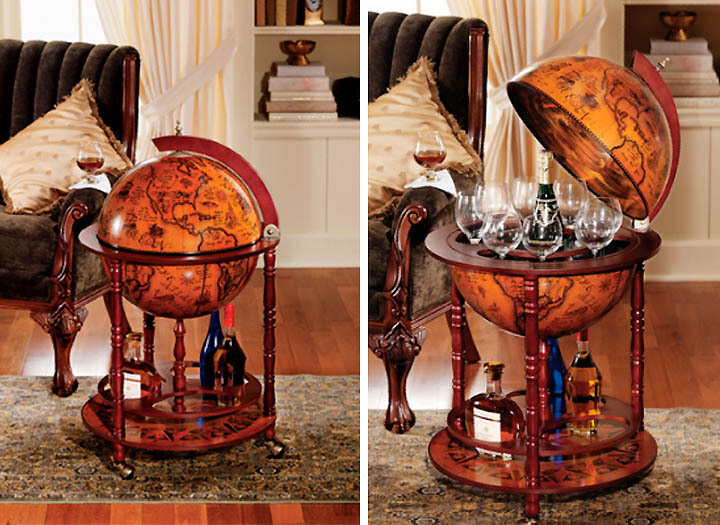 Great article and some wonderful globes here, but your introduction is a little weird... Roundness to touch? Curves to trace? Earth to hug? It's none of my business what you do in the privacy of your bedroom, and I must admit that some of these are quite pretty, but really, children might read this. 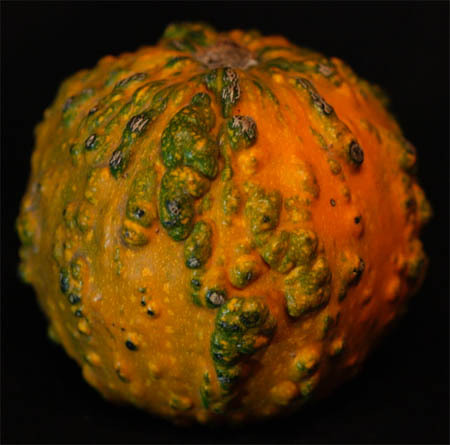 Hi Avi~ Enjoyed your article on weird globes. 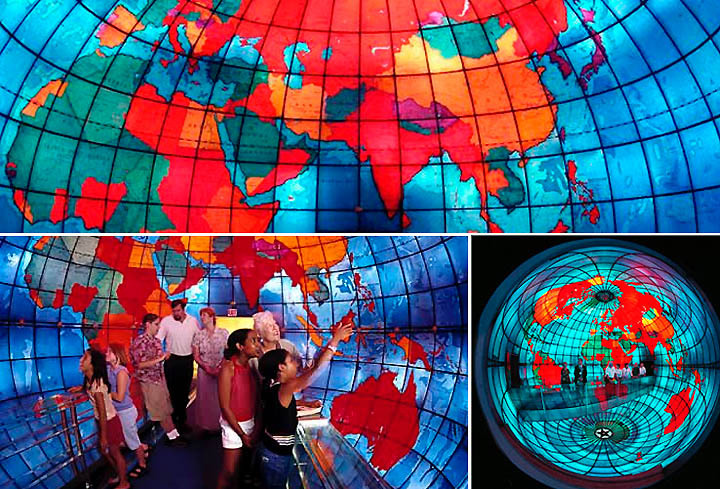 If you want more, you could check out the lobby of the DeLorme map company in Yarmouth, Maine-- which boasts "'Eartha', The World's Largest Rotating Indoor Globe". 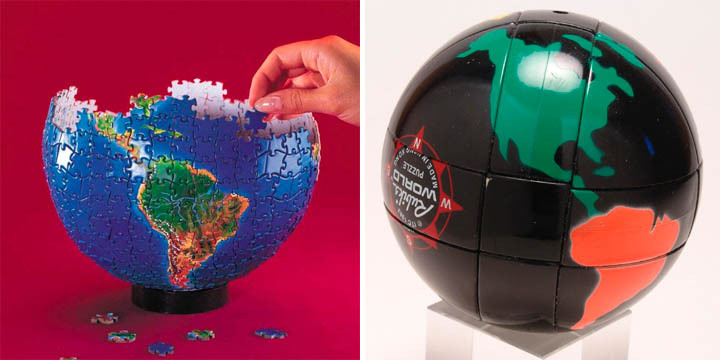 Wow, there are some amazing globes there. The only issue with the drinks cabinet one is that you don't get to spin it which is half the fun...unless of course you want a cocktail. Wonder if you know this page got noticed by the one and only Pee-Wee Herman. He thinks (and I agree) that Globey should be in the list. 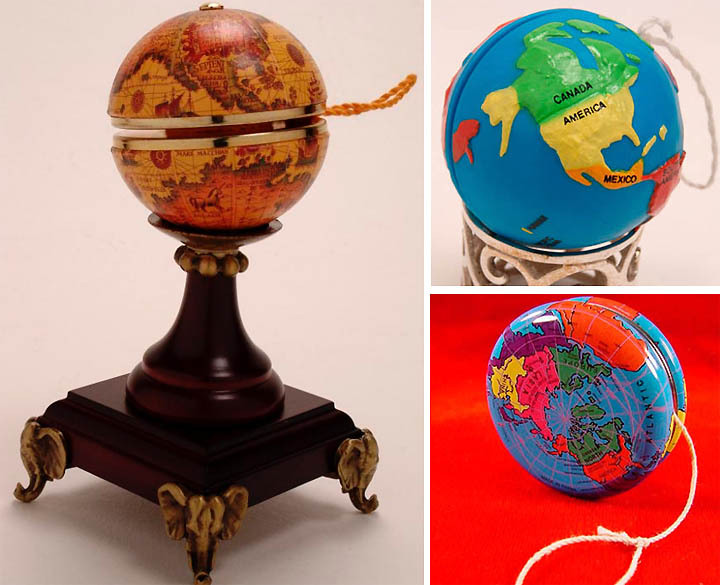 Great collection of globes. Definitely include PeeWee's GLOBEY in any updates!